Beginning in the 1960s, Stan VanDerBeek worked with multiple projections on movable screens. In his live shows with film, video and computer graphics, he created high visual density comparable to the contemporary music video, which he then developed into computer animation. These experiments of high density in collage forms were conducted through image processing and mark the transition to computer graphics in ways similar to the chroma key experiments by Ed Emshwiller. 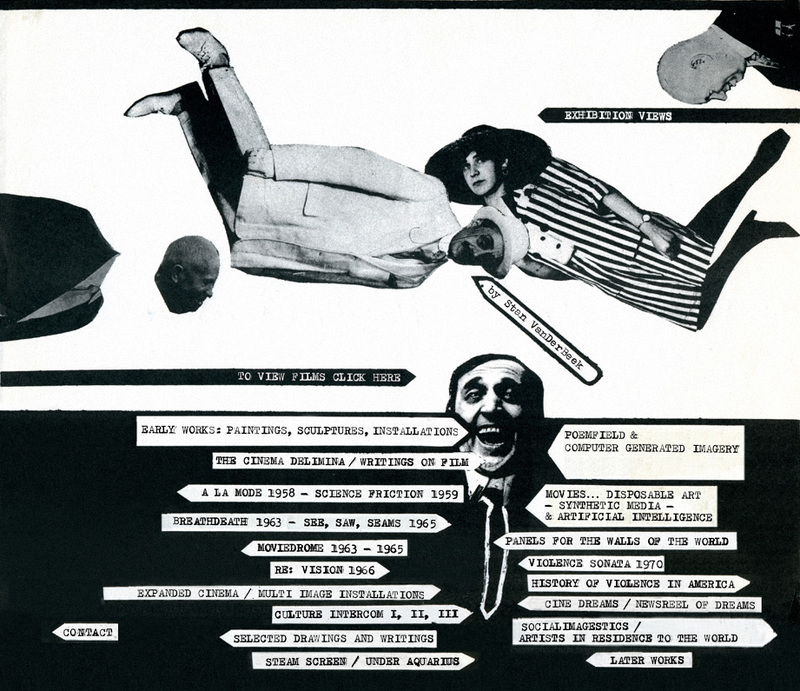 As early as the 1960s, VanDerBeek managed to create multimedia performances using computer animation with the support of Bell Telephone Laboratories. “In the 1970s, he constructed a ‘Movie-Drome’ in Stony Point, New York, which was an audiovisual laboratory for the projection of film, dance, magic theatre, sound and other visual effects. His multimedia experiments included movie murals, projection systems, planetarium events and the exploration of early computer graphics and image-processing systems.” (1). In VanDerBeek’s video experiments, pulsating rhythm and feedback images created self-reflexive forms of imagery; the ‘content’ of the image was expressed through dynamic and sequential characteristics of these electronic experiments.